LOW KM's, locally owned and serviced, accident free! 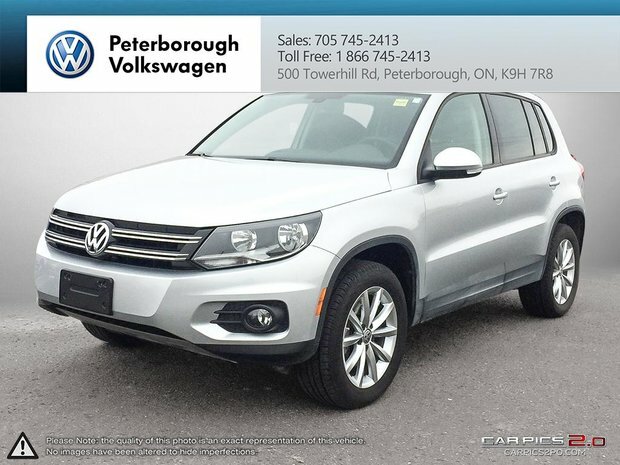 This Tiguan Wolfsburg comes equipped with; satelitte radio, cruise control, heated seats, app-connect, AWD, power seats, and much more! Special low finance rates available through our "Certified Pre-owned Program" here at Peterborough Volkswagen! VW factory extended warranties available as well! 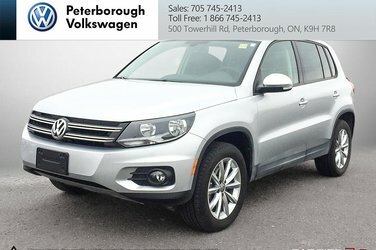 Test drive this low KM Tiguan today before it is too late! Peterborough Volkswagen, 500 Towerhill Road, 705-745-2413.